Welcome back to another exciting episode of Kristen’s skincare! But seriously, welcome back. If you didn’t read the story about why I am on a mission to “fix” my skin, check it out here. You can also read my morning skincare routine there. So this brings us to the evening edition. I do spend a little more time on my skin in the evening so this post will be a little longer, but its still less than 20 minutes! First I remove my eye make up. I currently use Almay Longwear & Waterproof Liquid Eye Makeup Remover. This is the one part of my current routine that I don’t love. It works fine, but not like the best thing I’ve ever used. I get lash lifts so I hate to rub my lashes to get my mascara off, it feels like I am ruining the last lift. Next, I want to try one of the micellar water cleansers. I have used the Clinique Take the Day Off Cleansing Oil and Makeup Remover for Eyes, Lips, and Lashes. 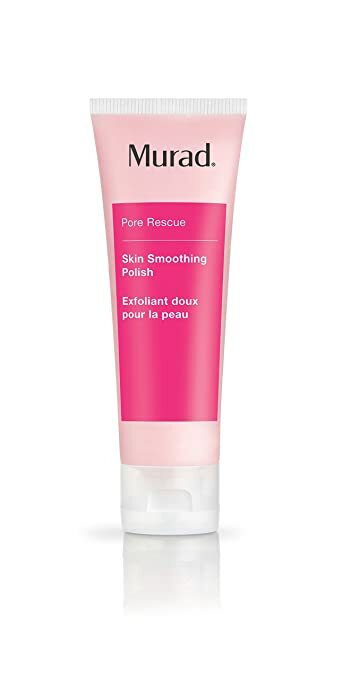 I liked it, but I wanted to try a few drugstore brands to see if any stack up. Next, I wash my face. 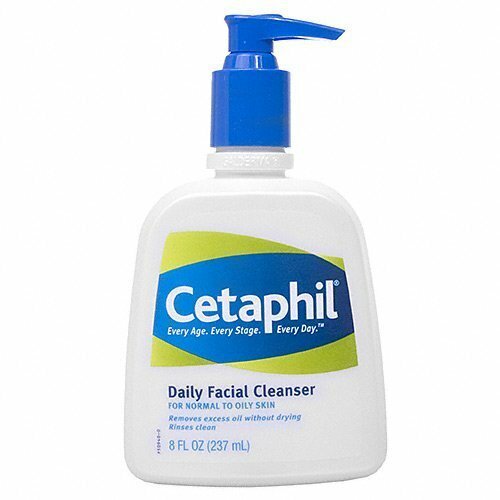 I use the same cleanser I use in the morning, Cetaphil Daily Facial Cleanser, Normal to Oily Skin. I wash my face twice, once to get the makeup off and once to cleanse my skin. I also use a Silicone face cleaning brush I got from Amazon for the second wash. It is a super cheap one I don’t think it does a ton. I also forget to use it a lot (oops) so I don’t want to invest in one of the nice ones yet, but I have been looking at the Foreo Luna. Now here is where I am going to get tricky on you. I do different things on different nights. I know it sounds crazy, but trust me. I started using a retinol cream recently. I use it twice a week. Per my esthetician’s recommendation, I then exfoliate 2 days later. On the other days, I use either a mask or an oil to even my skin tone. It was WAY to hard for me to remember what I had done the night before so I made a little schedule on a post-it note and stuck it in my bathroom cupboard. So if its a Tuesday or Thursday I exfoliate next. I use Murad Skin Smoothing Polish Exfoliator. It is a nice gentle exfoliator but my skin feels baby soft afterward. Last year in a FabFitFun box I got the Kate Somerville ExfoliKate® Intensive Exfoliating Treatment. I also LOVE this one. It is much more intense so I only use it on occasion. This one also comes with a much higher price tag. While I love it, I don’t know that I would buy it full price. If I am doing a mask I do it next. I go back and forth between using a mask and bio-oil. I don’t have any rhyme or reason, I just think they are both great, but I don’t need to do them both every week. In the summer I tend to do the mask a little more often as it is humid and the oil seems a little too much. 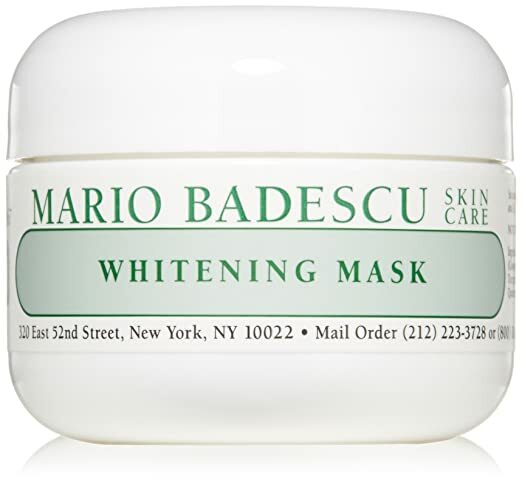 The mask I use is the Mario Badescu Whitening Mask. It isn’t super drying like some masks. I also don’t put it all over my face, just on the places I am really wanting to even my skin tone. It looked SUPER small when I first got it, but a little goes a long way! After that, while my skin is still damp I use a toner. 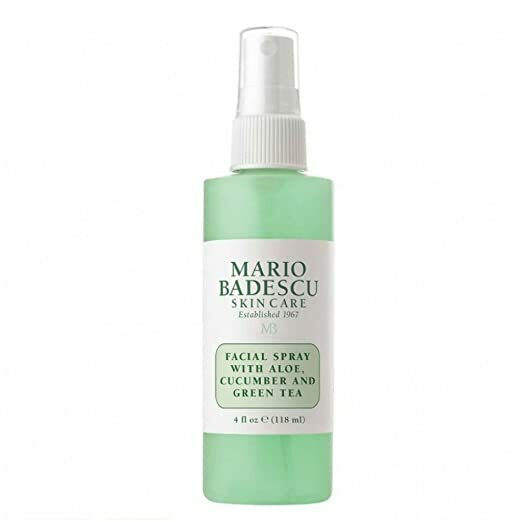 I also use the same toner as I use in the morning, Mario Badescu Skin Care Facial Spray with Aloe, Cucumber, and Green Tea. I love the spray top, it makes it so easy to put on! Next is either bio-oil or retinol. I use Bio-Oil Specialist Skincare. Now keep in mind this is literally oil you are putting on your face, so if you have oily skin you might want to skip this step. I don’t put this everywhere, I just focus on the areas where I want to even my skin tone, and avoid areas where I am more oily in general. Bio-oil is made for scars and stretch marks but it also helps to even your skin tone. I will wait a while after I put the oil on before putting on moisturizer so that it can really sink it. For Retinol I use Treat // Stimulate by Amber Budd Skincare. Amber is my Esthetician and she owns her own skin care salon. She also makes her own line of skincare products based on the needs of her clients she has seen over the years. She is amazing and will help you to pick out the perfect products for your skin. She is located in Minnesota but will also do phone or skype consultations to help people pick out products. The Retinol is one of my splurge items for the evening. The retinol sinks in pretty quickly but I still usually wait a little while to put on moisturizer. I use the Cereve Eye Repair Cream. I love it, it is light but moisturizing if that makes sense. I have used some creams that feel like I am putting vaseline on my eyes and this feels thin and sinks in well. I tend to have very dry and sensitive skin around my eyes and when I wake up in the morning my skin looks great and my bags are magically gone. Wouldn’t that be awesome? Okay, they aren’t gone but they do look better! I finish up my skincare routine with the Cerave Skin Renewing Night Cream. Similar to the eye cream I love the texture. It is a thicker cream but it sinks in well and doesn’t leave me feeling greasy. When I first got this the container seemed very small, but you don’t need much at all. I have had my current container for over a month and it barely looks like I have used any. The very last thing I use is a lash serum. I rotate through Rodan and Fields Lash Boost, Monat Lash Serum and a DIY Serum of Castor Oil, Vitamin E Oil, and Lavender Essential Oil. The only reason I use all 3 is because I have them from when I was testing them out. I originally started with the DIY serum, it seemed to make my lashes fall out less but I didn’t see much growth. A friend of mine was running a big Monat sale so I picked up some of their lash serum and tried that for a little. I think my lashes got a little longer but I didn’t see much of a difference. To complete my testing I tried out the Rodan and Fields lash boost. I have heard people get great results, but also think some of the results are so drastic and I didn’t like the results. I used the Rodan and Fields a few times a week only. I also start on the outside of my lashes and work my way to my nose, stopping about 3/4 of the way. I think it looks a little more natural when the lashes on the inside (near my nose) are more subtle. I have seen some great growth with the Rodan and Fields. I really like using it only 2-3 times a week so my results are more subtle and because this is MUCH more expensive. The hand word counter in WordPress tells me this post is now 1283 words long. That sounds like a LONG nighttime routine. In reality, it takes me less than 10 minutes. I also usually do all this while we are getting Blake ready for bed so I can let the products soak in a little. Wash my face, toner, retinol – get Blake’s PJ’s on – eye cream and moisturizer, put Blake to bed – eyelash serum. *Note: I do not sell nor am I affiliated with any of the products above. This is just my honest review of these products and how they worked for me.